Adult film actress Stormy Daniels on Wednesday penned an open letter to Michael Cohen, President Trump’s former lawyer, during his testimony before the House Oversight Committee on Capitol Hill. 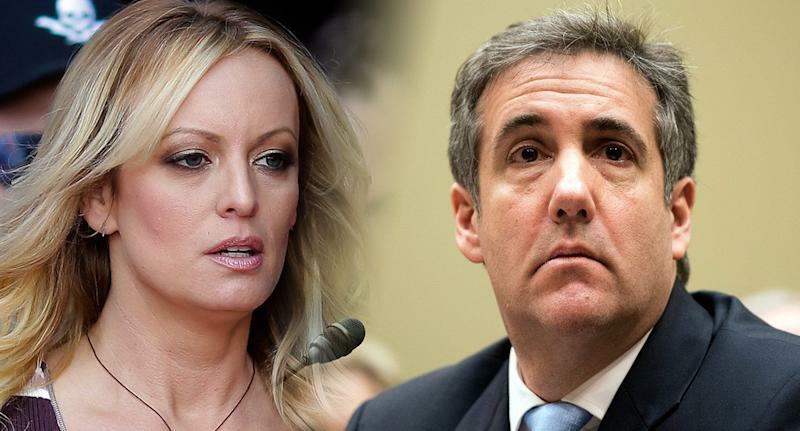 During his hearing, Cohen testified that that Trump is a “racist,” a “con man” and a “cheat” who knew about the $130,000 hush-money payment Cohen made on the eve of the 2016 presidential election to silence Daniels, who says she had an affair with Trump. Cohen said he was directed by the president to lie to reporters about the payments, and to say Trump had no knowledge of them. The former fixer, who pleaded guilty to charges involving campaign finance fraud and lying to Congress, was originally supposed to testify on Feb. 8 but asked for a delay because of what he said were “threats against his family” by Trump and his associates. Cohen told lawmakers Wednesday that he is now afraid to walk down the street with his family. Daniels says she had a sexual affair with Trump in 2006. At the time, Trump had been married to his wife, Melania, for less than two years. In his testimony, Cohen said he lied to the first lady, Melania Trump, about Trump’s knowledge of the hush-money arrangement.